As I type this, I should be doing something else much more important and life affecting, but unfortunately for me, my brain decides to prioritise things like seeing how many times I can refresh Twitter in a minute, and writing blog posts. WHY BRAIN, WHY. The major monster in my life at the moment is my dissertation. Something as big and intellectual as that doesn't come all that naturally like a scatter brain like myself, and somehow I've found myself at 11th May, four days to go until hand-in, and on the verge of a minor mental breakdown. AGH. 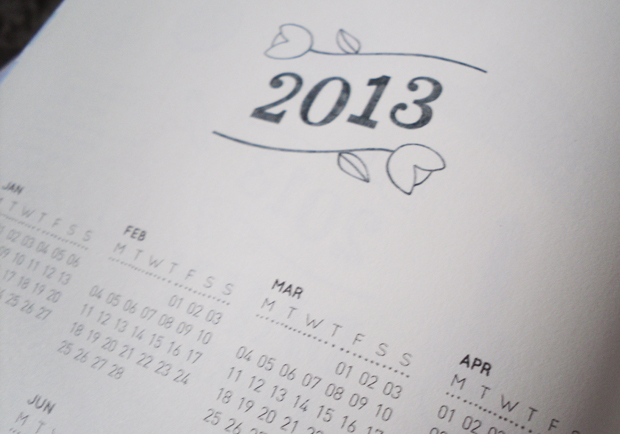 But way back in the planning stages, I decided to invest in something that might encourage me to get organised. Hello Frankie Magazine journal, you little cutie pie. Although it definitely hasn't been much of a help in forcing me to start organising the chaos inside my head (that's going to take a miracle), it's probably the cutest little diary I've ever seen. 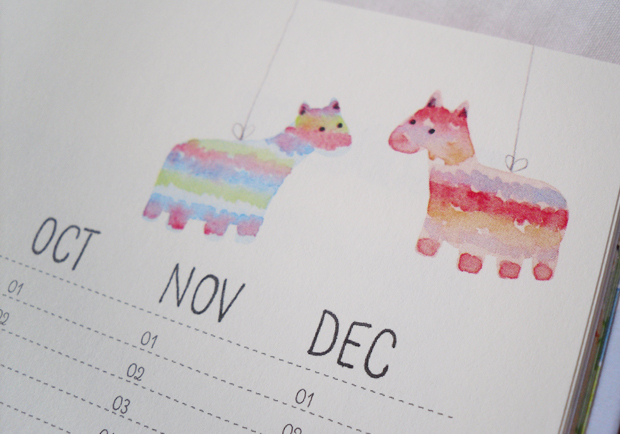 Every single page is covered in adorable water-coloured illustrations like these little pinata donkeys, and has all sorts of different pages like double page weeks, birthday reminders, a page for lists and loads of other nifty things. Seeing as I have rather a lot going on at the moment with the essay that must not be named, a ton of freelancing hours and that thing called socialising which I've basically forgotten exists, my Frankie diary has gone from handbag to bedside table over and over since it arrived on my doorstep. 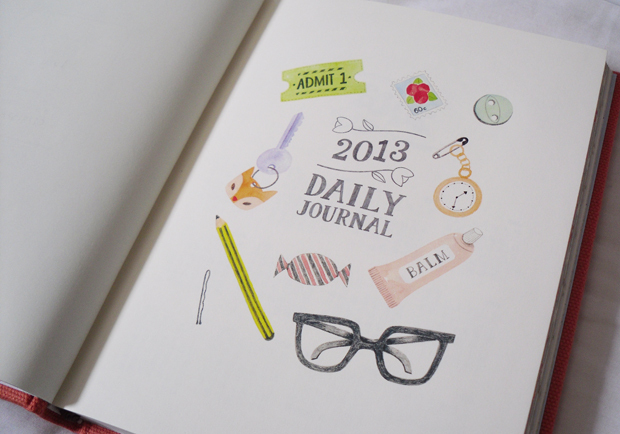 I didn't know it was possible to fall in love with a journal, but hey, it's happened. I'm off to bury myself in illegible notes, cups of tea and dreams about the bottle (or ten) of wine waiting for me at the end of all this. This is way too cute! I love it. Perfect way to stay organised!